President Karzai receives millions of dollars in cash from Iran. The same Iran who funds the Taliban with weapons in Afghanistan to kill our soldiers. Mahmoud Ahmadinejad is an enemy to the world, and his people. Do a search on what he’s done to his own people, horrible! 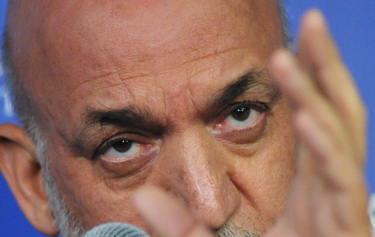 Bags of Cash: Are Iran, Karzai Playing All Sides? A spokesman from the Foreign Ministry confirmed that Iran has sent millions of dollars to the Afghan government over several years. Jim Lehrer talks to former Afghan Interior Minister Ali Jalali and Steve Clemons of ‘The Washington Note’. The White House voiced its concern about Iran’s “negative influence” on Afghanistan after President Hamid Karzai admitted receiving bags of cash from Washington’s arch foe Tehran. Karzai insisted at a news conference in Kabul on Monday that the payments to his chief of staff — sometimes as much as 700,000 Euros (980,000 dollars) at a time — were transparent payments for his presidential office. “They want good relations in return. Lots of other things in return, Afghanistan and Iran have neighborly relations,” Karzai said. “We have also asked lots of things in return in this relationship, so it’s a relationship between neighbors and it will go on and we’ll continue to ask for cash help from Iran,” he said. What this means is The cash is completely illegal and that’s why Iran wants to keep it down, The other thing is they could send their helps like other countries and for example use the Banks like Kabul Bank, no but they’ve got to give the money in a bag, not even a suitcase. Accessibility to banks also is available for them in Afghanistan. Karzai is over; he’d killed himself as a politician and lost a bit of respect which some had for him in Afghanistan. From now it is all going down. Recently Afghan police had seized 22 tons of explosives stashed in boxes marked “food, toys and kitchenware” that were imported from neighboring Iran. The Wall Street Journal reported that Karzai on April told local officials that the Taliban could gain strength if the United States doesn’t stop meddling and even suggested he would join with them if his government doesn’t support him in taking control of the United Nation’s election watchdog in his country. Afghan President Hamid Karzai has been in talks with high-level Taliban members, but the effort has failed to yield “practical reconciliation” or the “resolution of many issues,” a senior U.S. defense official said early this month. “We don’t think the Taliban believe that they’re losing to the degree that they’d come to terms in large numbers. Without question, they’re hurting. We have it on good information that they’re feeling the pressure. Just not enough,” the official told CNN. A Taliban spokesman has told CNN that the group was not interested in peace talks. Zabiuhullah Mujahed, the spokesman, said the group had no representative in the alleged negotiations in Kabul. Peace negotiations would not happen until the Afghan government met the Taliban’s precondition to withdraw foreign forces from the country and allow Taliban figures in government, the spokesman said. U.S. and NATO had been present in Afghanistan for 9 months and now I’m sorry to say they’ve lost the War against Taliban. The first reason is Bin Laden which they couldn’t find until now and the other thing is they couldn’t destroy Taliban, as a militant terrorist group. The top American commander in Afghanistan said Monday that high-level Taliban leaders had reached out to senior Afghan government officials in the context of starting reconciliation discussions that could pave the way to end the fighting in Afghanistan. For months, efforts at reconciliation have been stalled at every level, and this is the first explicit public suggestion that there is extensive behind-the-scenes contact between insurgents and the Afghan government. Gen. David H. Petraeus, in a meeting with reporters after a tour of the largely United States-run detention facility here, where American forces detain Afghans they suspect of supporting the insurgency, said the Taliban were making efforts to establish contact with senior members of the Afghan government. 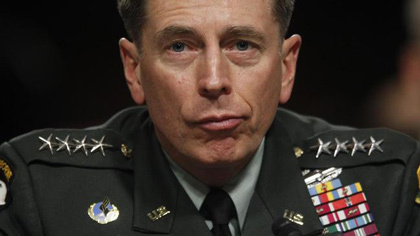 “There are very high-level Taliban leaders who have sought to reach out to the highest levels of the Afghan government and, indeed, have done that,” General Petraeus said. A spokesman for Mr. Karzai confirmed that there had been contacts with the Taliban at every level, but he cautioned that the contacts could not be characterized as even the beginning of negotiations. “In the last few months, there have been signs and signals from different levels of Afghan Taliban,” said Waheed Omer, the spokesman. “There have been different levels of contact — sometimes direct and sometimes indirect,” Mr. Omer said. 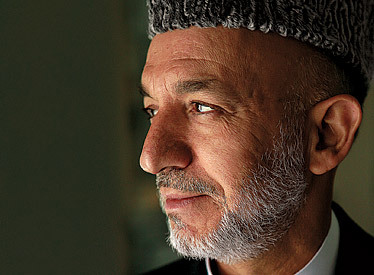 Read “Who is Karzai?” to know more about him. Hamid Karzai, an ethnic Pashtun of the Popalzai tribe, was born in the village of Karz, which is located on the edge of Kandahar City in southern Afghanistan. His grandfather, Khair Mohammad Khan, had served in the 1919 Afghanistan’s war of independence and as the Deputy Speaker of the Senate. Karzai’s family was strong supporters of the former Afghan King, Zahir Shah. His uncle, Habibullah Karzai, served as representative of Afghanistan at the United Nations and is said to have accompanied Zahir Shah in the course of the King’s state visit to the United States for a special meeting with U.S. President John F. Kennedy. His father, Abdul Ahad Karzai, served as the Deputy Speaker of the Parliament during the 1960s. Hamid Karzai attended Mahmood Hotaki Elementary School in Kandahar and Sayed Jamaluddin Afghan School in Kabul. He graduated from Habibia High School in 1976. Karzai was involved in helping to provide financial and military support for the Mujahideen during the 1980s Soviet war in Afghanistan. The Mujahideen were secretly supplied and funded by the United States, Pakistan and Saudi Arabia, and Karzai was a contact for the U.S. Central Intelligence Agency (CIA) at the time. While Karzai’s brothers immigrated to the United States, Hamid Karzai remained in Pakistan during the Soviet occupation. He accompanied the first Mujahideen leaders into Kabul in 1992 following the Soviet withdrawal. When Karzai was a candidate in the 9 October 2004 presidential election, he won 21 of the 34 provinces, defeating his 22 opponents and becoming the first democratically elected leader of Afghanistan. Although his campaigning was limited due to fears of violence, elections passed without significant incident. Following investigation by the UN of alleged voting irregularities, the national election commission on 3 November declared Karzai winner, without runoff, with 55.4% of the vote. This represented 4.3 million of the total 8.1 million votes cast. It has been alleged by James Risen of the New York Times and others that Hamid Karzai’s brother, Ahmed Wali Karzai is a prominent figure in the Afghan drug trade, controlling a significant proportion of heroin or opium. In meetings with Afghan President Hamid Karzai, including a 2006 session with former US Ambassador to Afghanistan, Ronald E. Neumann, the CIA’s station chief and their British counterparts, American officials have talked about the allegations in hopes that the president might move his brother out of the country, said several people who took part in or were briefed on the talks. 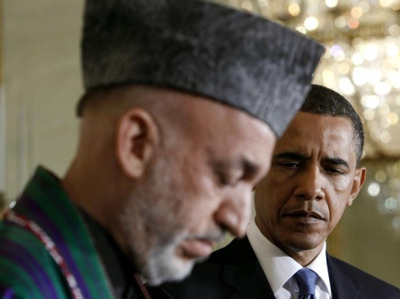 “We thought the concern expressed to Karzai might be enough to get him out of there,” one official said. But President Karzai has resisted, demanding clear-cut evidence of wrongdoing, several officials said. 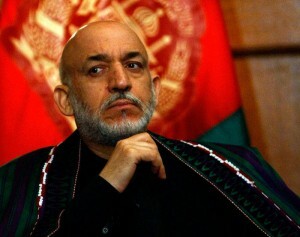 Officials of the Obama administration and other allied governments involved in Afghanistan have become increasingly concerned by some of Karzai’s recent behavior and statements, which reportedly included a threat, delivered at a closed-door meeting of Afghan legislators last weekend, that he would quit as president and join the Taliban if foreign interests pressed him too aggressively for reforms. In an interview with the Daily Rundown program on MSNBC, Galbraith, who formerly served as the U.N.’s No. 2 official in Afghanistan, questioned Karzai’s “mental stability” and suggested he might be on drugs. “He’s prone to tirades. He can be very emotional, act impulsively. In fact, some of the palace insiders say that he has a certain fondness for some of Afghanistan’s most profitable exports,” Galbraith told the cable network. Five U.S. intelligence- and foreign-policy officials, who asked for anonymity when discussing sensitive information, told Declassified that they were unaware of any official U.S. government reporting, including intelligence reports, alleging that Karzai was using drugs. One of the officials, who is close to Afghan policymaking councils in the Obama administration, said flatly that Galbraith’s allegation was “outrageous.” Other officials familiar with intelligence reporting on Afghanistan said they had seen or heard nothing of allegations regarding drug use by Karzai. The issue was even raised at White House briefing conducted by presidential Press Secretary Robert Gibbs. A reporter noted that Galbraith had alleged on TV that Karzai was mentally unstable and possibly on drugs and asked Gibbs whether the Afghan president was “a credible partner to the U.S.” Gibbs’s reply was noncommittal: “He is the democratically elected leader of Afghanistan. And … we will not hesitate to ensure that the remarkable investment that our men and women are making is met with the type of governance that has to be in place in order to secure parts of a dangerous country. Karzai was involved in helping to provide financial and military support for the Mujahideen during the 1980s and supported Taliban before. That’s why I won’t be surprised if he’s with them at least mentally. When Afghans have thousands different kind of problems, he just want to talk with Taliban through these years, that’s the non sense that he does to make west believe is going forward toward peace. The truth is if you’re a Talib, that means you’re a jihadist and it’s not possible to think the ideology will change or soften through the time because Islam is very straight forward religion, you are in the loop or out of it. That’s their rule.